We are a faith-based High School (6th-12th) serving Houston’s Memorial and surrounding areas since 2004. MPHS assumes every child is going to college and prepares each child accordingly. The vision of the school is to keep the classroom size small to facilitate and further insure the success of each student. MPHS provides a balance between a classroom filled with challenging and spirited class discussions, and the ability for each student to work at his or her own pace. Through our interactive classroom discussion vs lecture, the students receive reinforcement of material. We also see an improvement in their communication skills, and an increase in their comfort-level with speaking aloud and participating in class. The student profile is often a student who either simply does not care for the very large school setting, wants a faith-based school, and/or one who thrives with more one-to-one and small group instruction from the teacher. MPHS is not equipped to work with students currently experiencing significant behavior issues, nor is this a therapeutic school. We have a majority of children that want a place where people know them by name, and can help them individually to grow and mature day by day. We have students that have been homeschooled as well as students that have been to ‘enormous’ schools. Because MPHS truly maintains a small teacher-student ratio, we are comfortable working with students with dyslexia, dysgraphia, some high functioning autism and similar learning differences. Call or email to set up a tour and see how Memorial Private High School might be an excellent fit for your child! 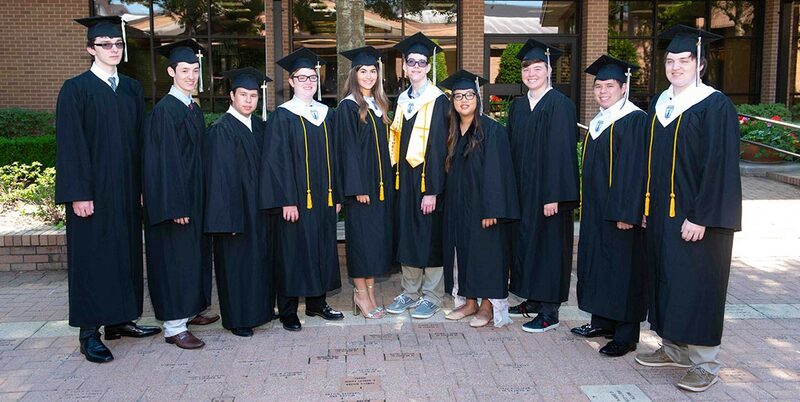 MPHS is the premier and only Houston private school that retains its small, family-oriented size. We combine this with a structured classroom setting, and college prepartory work. Call the school at 281-759-2288 to see if this may be the right choice for your child. MPHS has an outstanding Summer School and Satellite Program open to all the surrounding 6th-12th grade schools in the community! We have enjoyed working with our neighboring schools for almost ten years in this capacity. Students come from all over to take courses (electives and often Spanish!) to get ahead and free up their schedules for their later high school years. Some students take remedial courses here as well. Most courses are taken during regular Summer School. You also may actually enroll any time during the year for most elective high school courses, and take the course by appointment in the afternoon/evenings. MPHS believes that each student needs to work at a self-pace that is both reasonable and challenging for him or her. The nurturing MPHS staff has the structure and expertise to support that balance. We accommodate your vacation schedule, and your school activities such as band, sports, camps, etc.! Accredited by SACS, all of our courses transfer directly to your home school.